The iconic Sydney to Hobart Race, a 723-mile deepwater challenge - often called the “Everest” of offshore ocean racing - is considered one of the toughest in the world. Unpredictable weather and seas make each race demanding, but in 1998, an unexpected “weather bomb” hit the fleet, creating 80-foot waves and 100-mile-per-hour winds. Many bigger, better-equipped boats tried to maneuver around the storm, but the crew of the AFR Midnight Rambler chose to head directly into its path. I hate every wave of the ocean', the seasick Charles Darwin wrote to his family during his five-year voyage on the H.M.S. Beagle. It was this world-wide journey, however, that launched the scientists career. 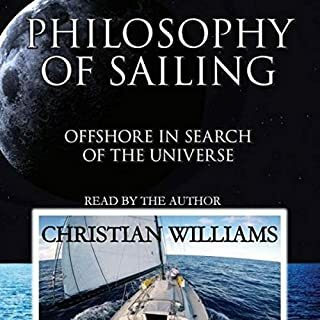 For anyone interested in owning or chartering a sailing yacht or going on a sailing vacation - otherwise known as "cruising" - this audiobook will give you a thorough orientation, something to listen to ahead of time. 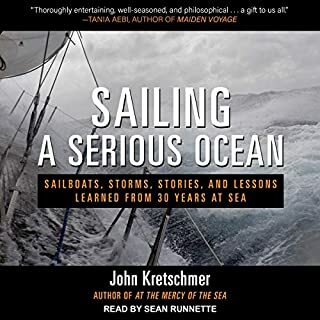 Experienced skippers, this is the perfect primer for the friends or family you've invited to go sailing. Presented by ASA-certified instructor Mark Herlinger, this audio program covers such topics as: qualifications to go cruising or chartering, types of boats, chartering tips, systems onboard, and much more. When Coyote and its skipper, Mike Plant, went missing mid-Atlantic in November 1992, the sailing world held its breath. Now, 20 years later, the story around the mystery, tragedy, and enigma is told at last. Mike Plant came to ocean racing late; as an American in a sport dominated by European sailors he was an underdog. And yet he won his class in the 1986-87 Around Alone 24,000-mile race, beating competitors with more experience, among them Hal Roth. Plant led an adrenaline-fueled life, full of seemingly suicidal adventures and yet his charismatic personality attracted hundreds of friends. 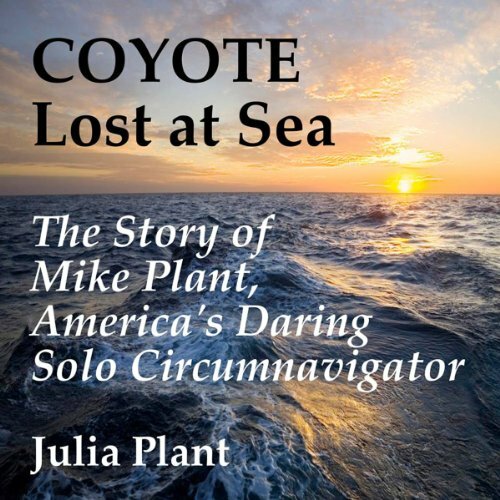 Told in the style of Into the Wild, Coyote Lost at Sea transcends the sailing story and explores the intimate details of Plant's intense personality, upbringing, and experiences that created the fiercely original character of Mike Plant. 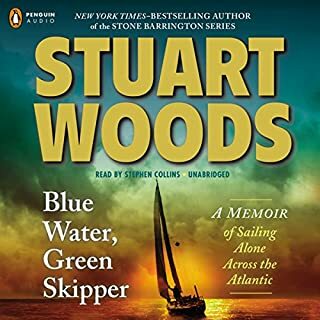 It explores the events and circumstances leading to Plant's phenomenal success as a singlehanded ocean-racer, as well as the factors contributing to the failure of his high-tech and controversial boat, Coyote. 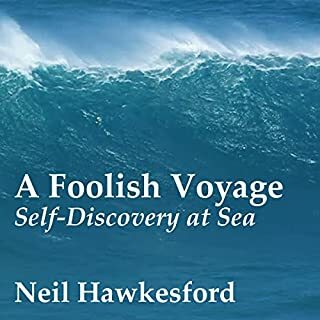 A remarkable tale if you like stories about the sea and sailing. Actually it is more than that, it is a tale about a person who is 'damaged' or is he? If he just non-conformist? Does he have demons that are larger than life or is he intoxicated with finding out the limits to which we can place upon ourselves? Either way a jolly good listen. Story builds steam culminating in the final voyage. Once the racing begins it takes off and shows the thrilling side of sailboat racing. Appreciated the Epilogue and final wreck analysis. For sure round the world sailors are a special breed of endurance athletes and Mike Plant was one of the early pioneers. Where does Coyote Lost at Sea rank among all the audiobooks you’ve listened to so far? Coyote Lost at Sea ranks as THE best audiobook I've ever listened to. I didn't want it to end. And although I received this audiobook free of charge in exchange for an unbiased review I would have listened to it anyway. Fabulous! What other book might you compare Coyote Lost at Sea to and why? I don't know what other books I would compare it to because Mike Plant had his own story to tell. Julia did an outstanding job recounting Mike's life. I would like to have met Mike myself. She included some family history and her own thoughts and feelings but never took the focus off of Mike. I'm still in awe of this book. There were many, many scenes that were my favorite but I think I have to say two stood out to me. My most favorite is when he entered his first race. I felt as if I were right there with him. All the beauty he saw in the sea such as the iceberg and how he described it. Kitty did a fantastic job here. I loved when she read from his logbooks. This entire book was truly fascinating. It should be made into a movie. I love his quote " I believe that the soul is made from a million things". Yes and I I did listen until the wee hours of the morning. It was so enthralling and I will definitely listen to this book again. The narrator Kitty Hendrix made this book. Yes. Kitty made this book. I love Kitty's rich tone and this book really showed her versatility as a narrator and actor. I always knew when she was speaking for Julia and for Mike. Just WOW. She has my attention. I would listen to anything she narrates. What did you love best about Coyote Lost at Sea? I wasn't sure what to expect. The story of Mike Plant really shouldn't have any reason to fascinate me so much and yet it did. Julia's writing skills play a large role in that, not to mention the dynamic personality of Mike Plant. Which character – as performed by Kitty Hendrix – was your favorite? No simple answer to this, but what I found more important were two things: (1) Kitty was very believable and I felt like I was listening to the author herself and (2) I was very pleased to find that when other characters came in there was excellent differentiation, esp men's voices! Having read the book sometime ago, I was delighted to see that an audio edition is finally available. It is a truly thrilling tale that I can't recommend highly enough. Whether you sail or not you will come away from Plant's story invigorated and inspired. I'm so happy to revisit this material in a new format that compliments, and keeps me company during, my own small adventures. What made the experience of listening to Coyote Lost at Sea the most enjoyable? The excellent and heartfelt narration by Kitty Hendrix matched up perfectly with the versatile and heartfelt prose of Julia Plant, Mike Plant's caring but not un-critical sister. Mike Plant - at time hero, at time anti-hero. The "James Dean" of solo circumnavigation, as he was called. Fascinating and self-destructive dude. Mike's sister Julia, who wrote in the first person. The discovery of Mike's wrecked COYOTE, with no sign of Mike. Good story even if you don't sail! I thought it was very good. 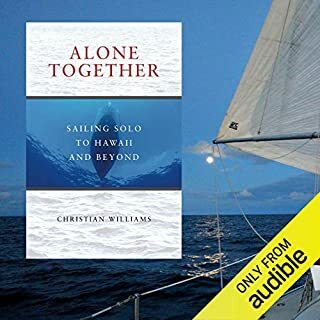 I did not know much about sailing and I learned a lot and enjoyed the story. What about Kitty Hendrix’s performance did you like? I thought the performance was great. The story was told only from the sister's point of view and the reader's performance personalized the character well. The reader did an excellent job of dramatizing key passages and evoking emotion. Yes, it is compelling, informative, and well told. It reminds me of a Ken Burns documentary--facts and history woven into a great and moving story. It has details of adventure and the personal perspectives of both Mike (through quotes) and his sister Julia. I felt like I was on the water with Mike, both the kid on Lake Minnetonka and the man rounding the Cape of Good Hope. I don't read this genre often (though after this I might try more) so I other books like it don't come to mind. I will again say, it reminds me of a Ken Burns documentary. What does Kitty Hendrix bring to the story that you wouldn’t experience if you just read the book? 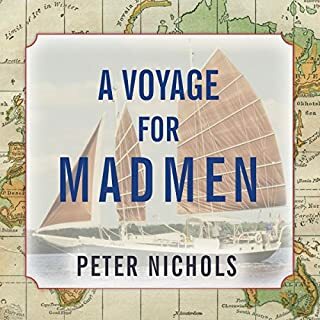 Kitty Hendrix brings the adventure narrative alive even more and makes clear and interesting the technical details of the sailing and the analysis of the final incident. In addition she brings warmth and insight to a sister's remembrances. Kitty's voice is at the same time compelling and warm/soothing/pleasant. I especially enjoyed the vignettes from childhood. I found it moving to travel with his sister down memories both exciting and painful. It makes sense that this book was 20 years in the making, and it was worth the wait. I feel as if I have travelled the world in the last day. From Minnesota's Lake Minnetonka and the boundary waters, to trekking through South America, to the Greek Isles, to Patagonia. If you could sum up Coyote Lost at Sea in three words, what would they be? Mike Plant, of course. Amazing character. Dauntless. Reckless, Impassioned. And sadly, at times, careless. I've never listened to her before, but she is very, very good at what she does. You want to hear more. No yachts-person won't enjoy this tale. Go for it.